Union CSIF has claimed that nurses in the main provincial hospital “Torrecardenas” were ordered last week to “hide” emergency patients who had been left on wheeled beds in corridors ahead of the visit of regional health minister Aquilino Alonso. The complaint says that “the sub-director of the hospital, together with the head of the Emergency department ordered staff to wheel at least seven patients for whom no beds were available into a storeroom away from the minister and his entourage, who were inspecting the hospital last Thursday morning”. Both Observation rooms, which have a maximum occupancy of just 23 beds each, were full and there were seven patients on temporary beds in room A just minutes before the minister arrived. But when the entourage walked into the room, and the minister started to greet the patients, these temporary beds “had mysteriously disappeared”, only to reappear once the minister was safely out of the way. The union said this was “symptomatic of the burdens this hospital faces, the under staffing and lack of resources for patients”, and added that “it is standard here for problems to be hidden rather than faced, leaving ill patients who need medical attention to suffer”. Minister Alonso’s department has not commented on the allegations, and also would not be drawn on the progress of the new maternity hospital for the city, a project which was supposed to have been finished a decade ago. The minister was visiting the hospital to open a new angiograph department, a 1.5 million euro investment in the hospital’s cardiovascular unit which helps to diagnose and treat patients at risk of a range of health issues such as strokes or heart attacks. The new machine allows doctors to map out blood vessels within the body in a 3D map and diagnose which are blocked or otherwise not working properly. It will also aid in the diagnosis of brain tumours. More than 1.000 people a year will now not have to travel to Granada for diagnosis, and the new treatment room will be able to carry out 2.500 diagnosis a year. 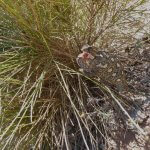 This entry was posted in Blog and tagged almeria, health, heart, medic, torrecardenas by David. Bookmark the permalink.